A study of a spray of guelder rose, with a cluster of berries; with an inscription above the drawing; acero frutta, di corallo. 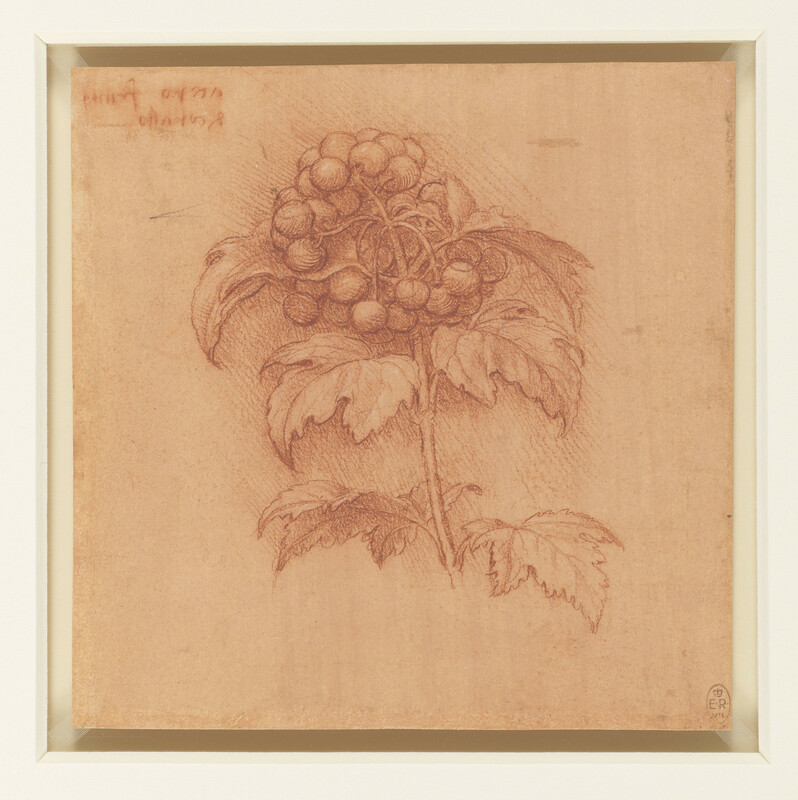 The leaves are shown curling and sagging, for Leonardo was interested not merely in the shape of their outline, but also in their living form when subject to the natural forces of growth and gravity. Leonardo drew plants and flowers throughout his life, following the tradition of naturalistic detail in fifteenth-century Italian art. His finest botanical drawings were made in connection with his painting of Leda and the Swan. The painting was to have a foreground teeming with plants and flowers, but what started as studies towards a painting soon became scientific studies in their own right, apparently towards a treatise on the structure of plants and trees. Leonardo identified the plant here as an acer or maple (his inscription reads ‘acer, coral[-coloured] fruits’), but it is probably the guilder-rose, Viburnum opulus.